I'll cop to it, I love interviews. I haven't done enough that I feel like it's "stale" yet at all. I'm sure I'll get there, but today is not that day. Which is good, because with The Holver Alley Crew just a month away, I've got a few coming up. 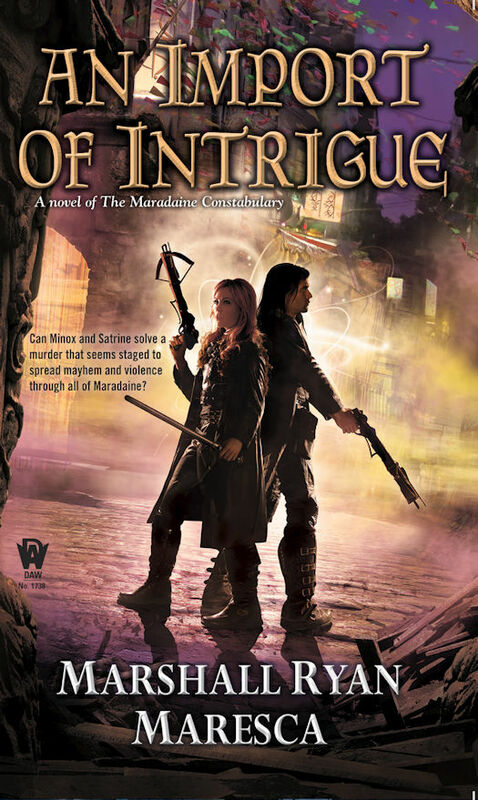 Over at File770 a few months ago, I had a good interview from Carl Slaughter with solid, on point questions that wanted to probe deeper into my work, specifically An Import of Intrigue. I really liked answering those, as he showed a strong awareness about the work and what I was doing. 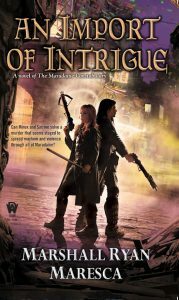 CARL SLAUGHTER: The main character in Import of Intrigue is an uncircled mage. What exactly is an uncircled mage? MARSHALL RYAN MARESCA: For mages to practice their craft in Maradaine, they need to be part of a Circle, which is a legal organization that provides training and accountability, but also that protects the mage from egregious arrest or prosecution. An Uncircled Mage is someone who has the knack for performing magic, but lacks the formal training, and thus is not part of any circle. This can happen a few different ways, but in Minox’s case, his magical abilities didn’t manifest until he was much older, when he was already in the constabulary. CS: What sort of unique circumstances does a police detective who is an uncircled mage find himself in? MRM: Since the Circles exist to give mages legal protection from constabulary harassment, they do not cooperate with the Constabulary at all. Which means that Minox—a man with deep familial ties to the Constabulary, who always wanted to be an Inspector—had to make the choice to not learn how to use his powers, and be shunned by other mages. But it also means that many in the Constabulary, who distrust and fear mages, don’t want to work with him. He’s on the outside in both worlds.